Configuring a fiber network just became as easy as setting up a smartphone. Say goodbye to command lines, manuals, and paid support licenses. Introducing the UFiber OLT – a fiber solution that anyone can deploy. (Ubiquiti® Network Management System) software. 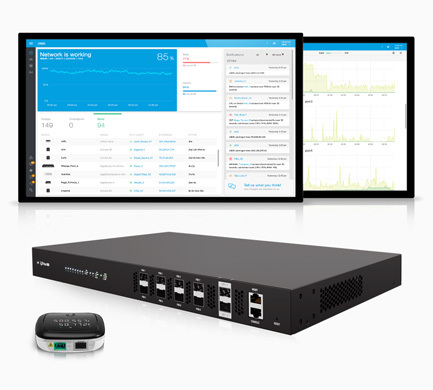 The OLT features eight PON ports to connect up to 1024 Nano G devices, and two SFP+ ports deliver up to 20 Gbps of uplink connectivity. can house an optional power module, either an AC/DC backup or a DC/DC power module. 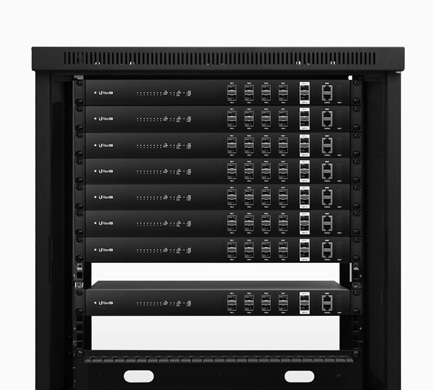 in a standard-sized, 19"‑wide rack.